This stained glass window, measuring over five meters tall, has recently been installed as part of the new All Hallows RC High School in North West England. The new build project, managed by main contractors Laing O'Rourke, was the last of three new secondary schools to be built in Salford, near Manchester, over three years. The chapels in all three schools had new stained glass designed and made by me and my team at The Stained Leaded Glass Company Ltd. The window represents The Holy Trinity, with God the Father depicted by rays of light, Jesus depicted by The Cross and The Holy Spirit depicted by a white dove. 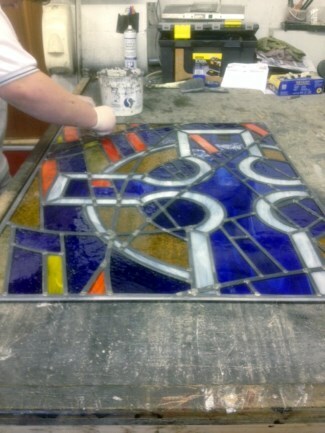 I constructed this window in the traditional way from pieces of coloured glass joined using lead came. Afterwards, I encapsulated the finished panels into triple-glazed toughened glass units. Lastly, the sections were fitted into an aluminium "curtain wall" to complete the glazing on the first and second floors. The window forms the centrepiece of the front elevation and makes the new school a local landmark. I love to work closely with my clients to bring out their ideas and to fulfill their visions. The first step is to talk with them about themes and styles. During the design of The Holy Trinity window I met with the head teacher, her management team and the project design manager to establish a design brief. We wanted to involve the students of the college so we ran a design competition. There were a few outstanding student designs, but none of them completely captured the full vision for new window, so the shortlisted designs were given to me as inspiration. 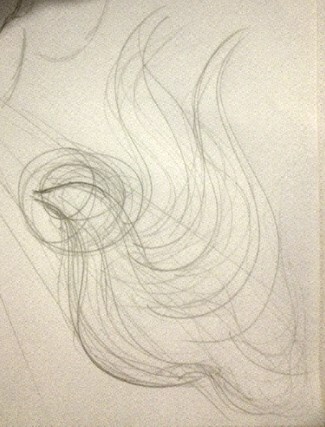 When designing a new window I usually make some sketches and then transfer my ideas onto Glass Eye 2000. I love the way the program brings to life my ideas and helps me to communicate my vision to my client. 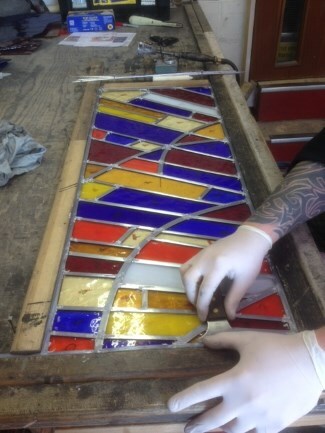 Andrew hails from Bolton, England, where he's is a former Chartered Engineer with a passion for stained glass as a hobby. 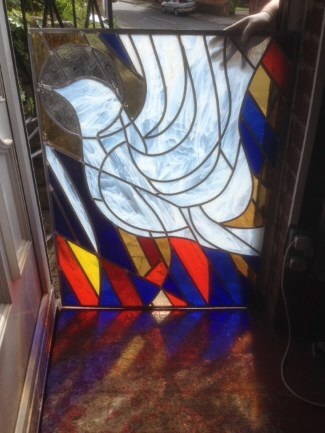 He started making stained glass 1991, initially working from his kitchen table but soon moving into a workshop in an old Methodist church near his home. After two years in the church workshop, the demands of his young family inspired him to move to a larger house, so he built a purpose-designed studio on the grounds of his home. It was in this studio that the company really became established and the first of eight apprentices was employed. In 2008 he was named as "Artisan of the Year" for outstanding support of future artisans. He has worked with many schools to introduce stained glass to children of all ages, and also has adapted the children's designs to make unique works of stained glass art that embody the ethos and values of their schools.